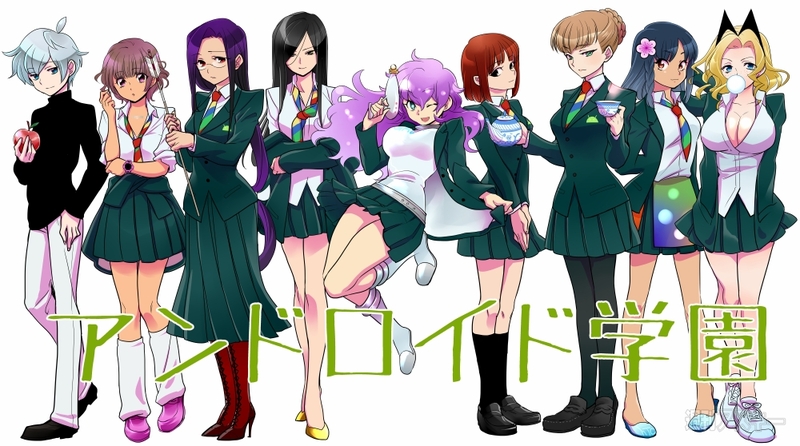 Whilst Japanese manga comics encompass a variety of different subjects and story-lines, you might be surprised to learn that Google’s Android operating system has been given a comic of its very own, and its called “Sweet Android High-school”. Apple is listed also, and is known as Apple-kun. According to Asiajin, the recent Google buyout of Motorola has been captured, with Google marrying Moto-Laura-chan. The Asia-focused website says that the high-school teacher “does not give precedence to her” and “everyone tends to forget about the marriage”. As you may have noticed, none of the above companies are Japanese, therefore they are characterised as international students. Japanese students Sharp (Sharp-chan), Fujitsu-Toshiba (Fuji-Toru-chan) and Casio-NEC (Kashio-Nko-chan), represent the Japanese contingent and are said to be anxious and complain all the time. You can read more about the characters, here. 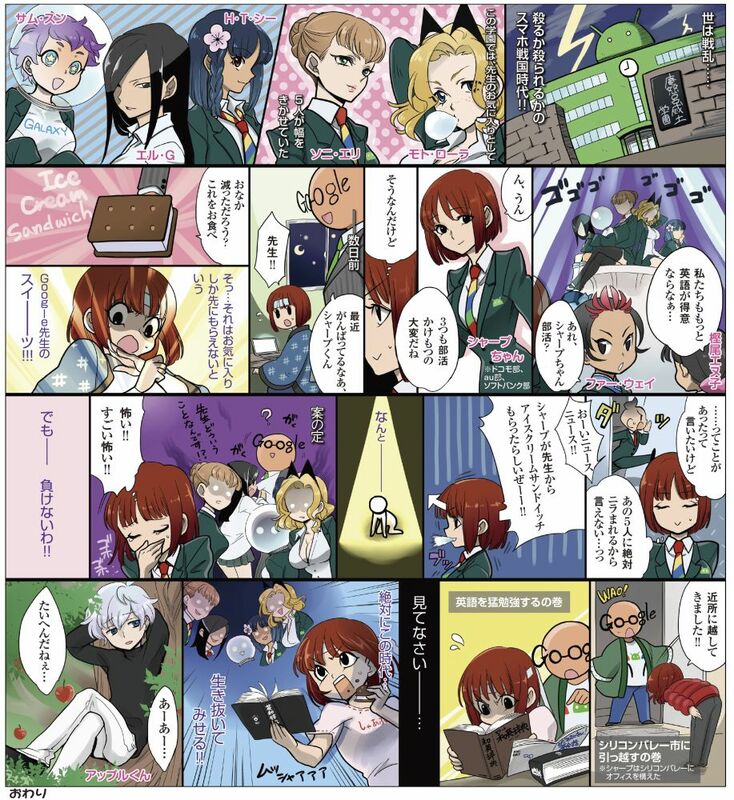 We have sought translation of some of the comics but you can clearly see some of the comics referencing Google’s Ice Cream Sandwich update and the new Galaxy Nexus. Asiajin says that the comic “runs on extra editions of Weekly ASCII, a PC magazine with long history in Japan,” that also publishes some excerpts online, here.